Question Tags. What are 'question tags'? How can we use them? Here we can find a short grammar explanation and an exercise (without key). I hope you find it useful for you! The present downloadable printable was created for high school students and adults at Elementary (A1) and Pre-intermediate (A2) level. 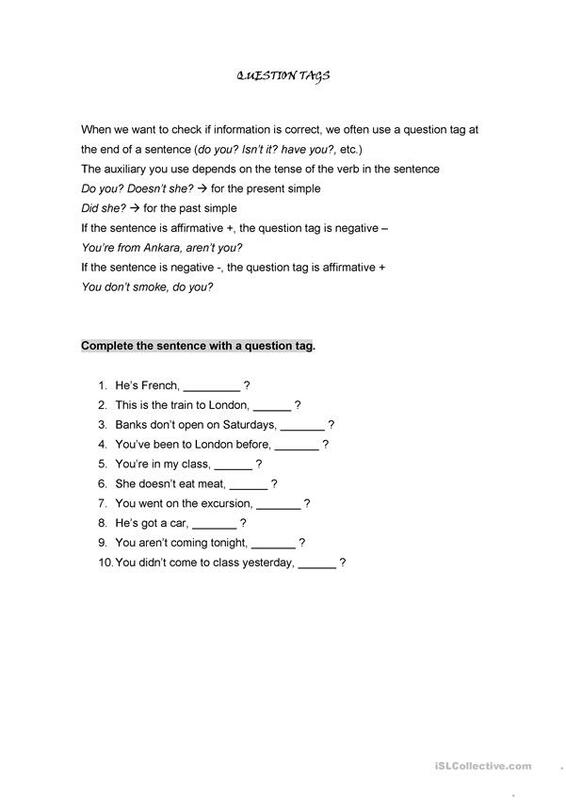 It is great for consolidating Question tags in English.